In level measurement with guided wave radar, microwave pulses are conducted along a cable or rod probe and reflected by the product surface. The measuring probe of the TDR sensor ensures that the signal reaches the medium undisturbed. Liquids, bulk solids and separation layers (interfaces) in liquids are commonly measured with this measuring technique. The VEGAFLEX 81 level sensor measures maintenance-free all varieties of liquids. Even in applications with vapour, buildup, foam generation and condensation, the sensor delivers precise and reliable measured values. 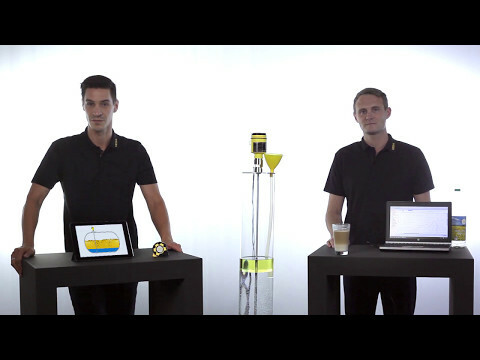 The VEGAFLEX 81 is the economical solution for various level and interface measurements. 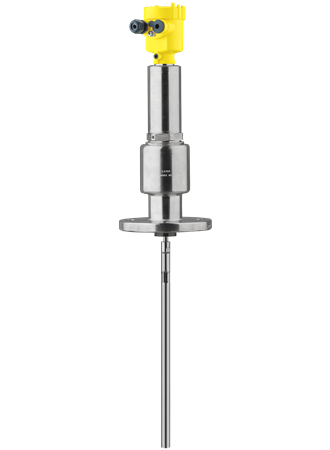 The VEGAFLEX 86 level sensor measures maintenance-free all liquids under extreme pressure and temperature conditions. Even in applications with buildup, foam generation and condensation, the sensor delivers precise and reliable measured values. In saturated steam applications, a special reference probe ensures a density-independent measurement. The VEGAFLEX 86 offers an economical level and interface measurement for your application.